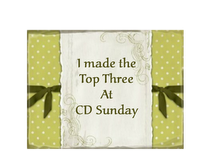 Here is my entry for this week's challenge at CD Sunday -Victorian Beauties. 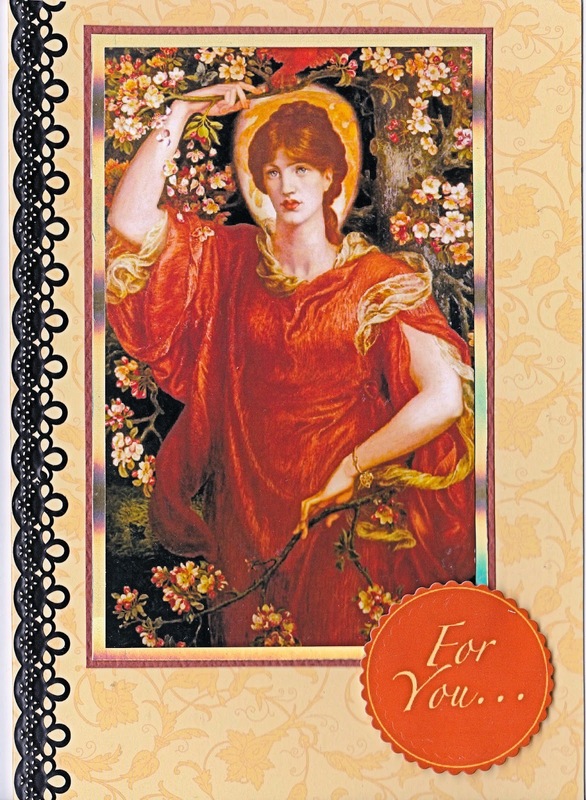 The image is by the Victorian artist Dante Gabriel Rossetti from The Age of Elegance CD by Joanna Sheen. The image has been mounted on brown and gold mirri card. The base card is by Kanban. The sentiment is from the same cd and the black adhesive lace is from Hobbycraft. That's lovely Tess and the black lace gives it a very dramatic look. Lovely card Tess, great image and i do like the adhesive lace tape it's very effective . Thank you for joining us this week at CD Sunday. What a romantic image. Wish I looked like that in the garden. Lovel card Tess. Thank you for joining in. I love this image and I think the black lace adds a certain something to the card. This is a super card Tess and a different take on the theme. Love the Black lace it finishes your card off perfectly. Thanks for your continued supprt.